So, you fancy a challenge? or maybe not? If you mention that you intend riding from Lands End to John’O’Groats (LEJOG) you’ll usually get a look of disbelief in return. People consider this epic ‘end to end’ ride a challenge, the next question is usually “how long will that take”? Personally, I’ve never seen cycling Lands End to John’O’Groats as a challenge, an adventure – yes. To me, it’s simply a tour that will let you see the best of the British Isles completely on your terms. Do you want to cycle Britain or tour it ? If it’s all about the cycling and you simply want the right to boast that you’ve ridden the length of the country then you may want to consider a supported ride. This could be in the form of a friend/partner driving on in front of you. Supported rides allow you to ride the lightest of bikes, carry only day ride kit and simply roll up to your accommodation at the end of each day where you’re support will be waiting. You’ll be safe in the knowledge that should you run into a problem, support is only a call away. Another option of supported cycling is taking part in an organised group ride. There are companies that specialise in organising ‘end to end’ rides such as Bike Adventures. All the headache (or fun?) of organising your LEJOG is done for you. An all-in price covers your accommodation, food and usually travel to and from the start/end points. Group riding will be based around daily set mileages between each nights accommodation. Whilst some riders will love the camaraderie of group cycling others may want more flexibility within their tour. Companies such as Bike Adventures will offer expert advice, making sure you get the most from your LEJOG. With all of the tour logistics taken care of, you’re free to concentrate purely on the ride. Your bike set-up may also be a factor in choosing the type of LEJOG you undertake. If you only have a lightweight carbon road bike then fitting racks for loaded touring may not be possible. A supported road ridden LEJOG requires no more than a regular road bike. There’s no need to purchase racks, panniers and an array of camping kit with this type of touring. The same applies with credit card touring (see below). I’ll write about gear and set-up in a later post. If you want to tour lightweight, credit card touring maybe your thing. 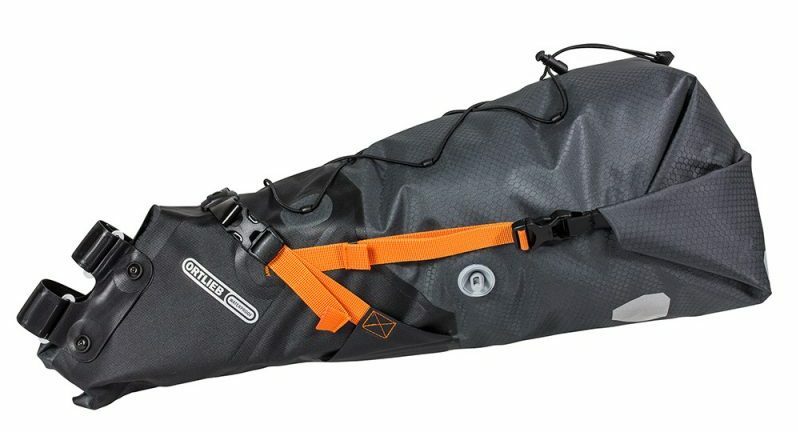 This involves carrying not a lot more kit than you would during a day ride and simply stopping at hotels / B&B’s / hostels and eating at restaurants along the way. You may want to consider a large seat pack to carry extra clothing but you won’t need racks and panniers. This type of touring is perfectly possible on your regular road bike. If you want to keep costs down or you prefer to fully immerse yourself in the outdoors you may want to camp and cook throughout your LEJOG. You then have two options; traditional loaded cycle touring or the lighter compromise of bike-packing. How long will cycling LEJOG take ? 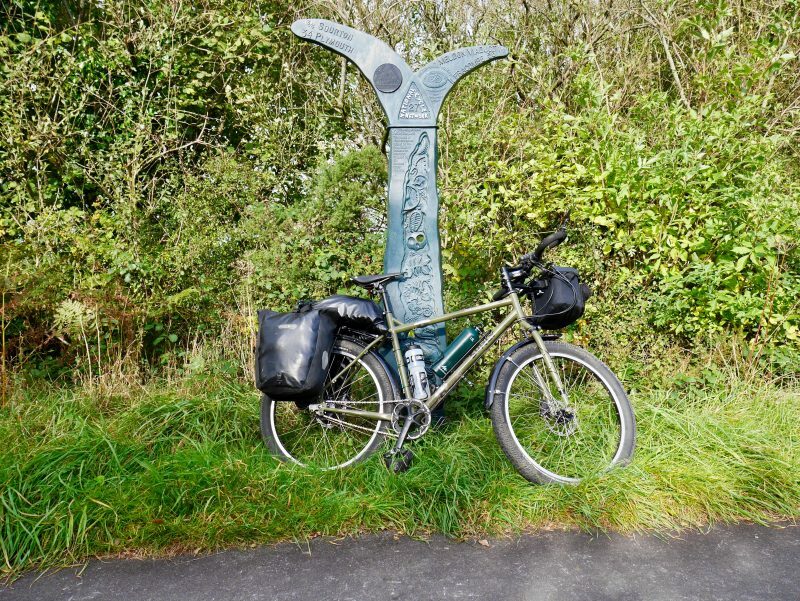 If you really want the full-on touring and camping experience from Lands End to John’O’Groats your set up will be much heavier than supported and credit card forms of touring. The added weight of your loaded touring bike will slow you down. Also, stopping to take photos, sight-seeing and generally taking the time to appreciate your surroundings will significantly reduce your daily mileage. Remember to allow the time for a slower type of tour, there’s nothing worse than feeling the pressure to make a deadline, it will detract from your experience. If you’re fit and fancy the challenge of cycling 100+ miles per day, you’ll need a nice light set-up and you could possibly get this done in eight to ten days depending on your route. However, this will be a case of just getting it done and in return earning your bragging rights. On the other hand, Ellie Bennett, author of ‘Mud, Sweat and Gears, Lands End to John’O’Groats via the Pub‘ took a month for her tour. The book is a great read and highly recommended. If you can’t spare more than two weeks away from your commitments but don’t fancy rushing your ride, why not split your LEJOG in two? One half this year and the other the following. You could ride from Lands End to maybe The Lake District fairly relaxed in ten days. This will allow you days spare for travel, rest and a buffer for the unexpected. Be clear in what you want from your LEJOG. There’s no such thing as an official route or distance, so plot what you want to see and allow the right amount of time to see it. Your trip maybe the most direct route of 874 miles as the famous signposts suggest or you may wind around the country clocking up 1500+ miles. 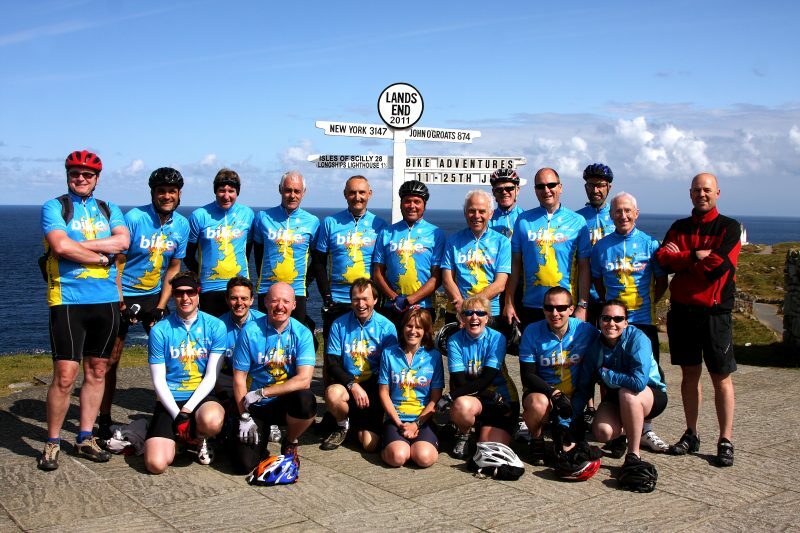 All you have to do is start at Lands End and eventually finish at John’O’Groats. Good Luck!